When will be Harvey Birdman, Attorney at Law next episode air date? Is Harvey Birdman, Attorney at Law renewed or cancelled? Where to countdown Harvey Birdman, Attorney at Law air dates? Is Harvey Birdman, Attorney at Law worth watching? Once a third-rate superhero, Harvey Birdman is now a third-rate lawyer trying like hell to get by in a fancy law firm. It's not clear whether Harvey actually went to law school, but he definitely knows the things to say to sound like a lawyer. And he has a suit now, that's for sure. Harvey decides to temporarily run the law firm, which leads to a full scale revolt (naturally). Armed with standard office supplies like staplers, manila envelopes and an occasional hand grenade, Sebben & Sebben employees form a massive uprising. Devlin hires Harvey to defend him (again). This time, a kid sues him for being injured by one of Devlin's toys. X hires a life coach to help him become more evil. Harvey defends the Hair Bears for a mauling at a fast food restaurant, but he is also called to serve on the jury. So naturally, the Deadly Duplicator appears and makes two of him, so he can do both. Harvey Birdman, Attorney at Law next episode air date provides TVMaze for you. 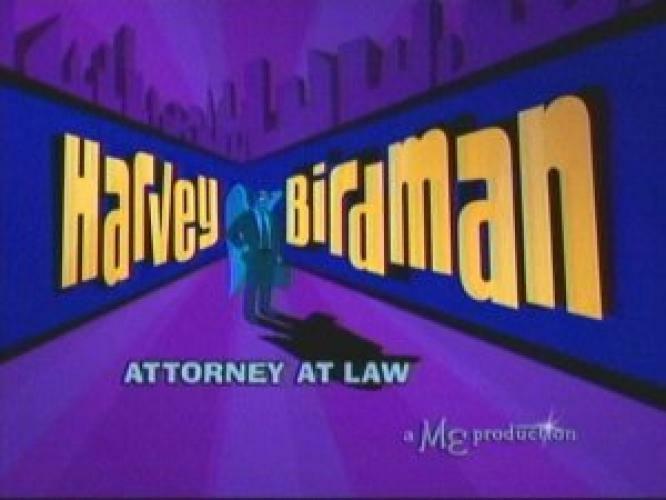 EpisoDate.com is your TV show guide to Countdown Harvey Birdman, Attorney at Law Episode Air Dates and to stay in touch with Harvey Birdman, Attorney at Law next episode Air Date and your others favorite TV Shows. Add the shows you like to a "Watchlist" and let the site take it from there.